And traditional audio manufacturers need to realize the danger. Apple, Google and Amazon have all announced smart speakers that are more like gadgets than audio gear. Of course, whenever a tech company attempts to build audio gear, the specter of the iPod HiFi looms large. Apple's ill-fated attempt to build the perfect speaker was considered a flop thanks to its high price and limited functionality. It was a glorified iPod dock that set you back $349 and couldn't even connect to the internet or FM radio. A decade later, smart speakers look ready to take over the world. And what happens next is going to be very interesting. It's not enough for your speakers to simply pump out good sound from your TV, computer, smartphone or Spotify account. Not in 2017, when three of the world's biggest consumer technology companies -- and that includes Amazon -- are pitching products that do so much more. No matter which system you buy, you're entitled to expect decent audio and the ability to control parts of your smart home. Not to mention the amusing, but less useful, ability to ask voice questions and get the answers spoken back to you in real time. The fact that these devices all retail for between $50 and $400 means that Silicon Valley is planting its tanks squarely on mainstream audio's lawn. You can imagine the nervousness coming out of companies like Bose, B&O Play and Philips. If you're already an Android phone user with a Chromecast, then doesn't Google Home -- which integrates with both -- make more sense than a third-party name-brand speaker? Similarly, if you are already embedded within Apple's or Amazon's ecosystem with Apple Music or Prime, then it would make sense to buy a HomePod or Echo. Sure, audiophiles may not be swayed by these devices, but for those folks happy with standard-resolution streaming audio, it's ideal. Ease of use, utility, a relatively low price and the brand may trump sound quality for a lot of us. 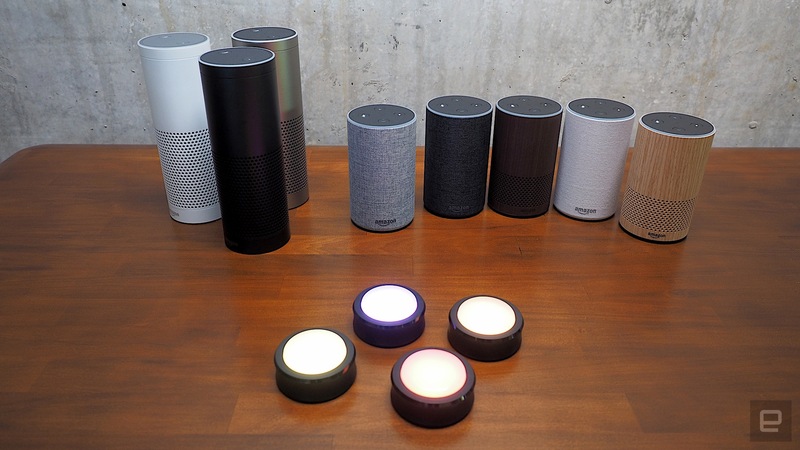 Amazon's strategy has been to flood the market with a wide variety of Echo devices that come in all shapes, sizes and prices. The revamped, $100 Echo ships with a pleasing cloth finish and Dolby-tuned sound to ensure it becomes your go-to speaker. Meanwhile, the $150 Echo Plus ships with a ZigBee controller, enabling it to control a wide variety of smart home devices, like Hue bulbs, without the need for an additional bridge. Hell, even the $130 Echo Spot will play music and offer voice commands, even if it is intended more as a replacement for your alarm clock. 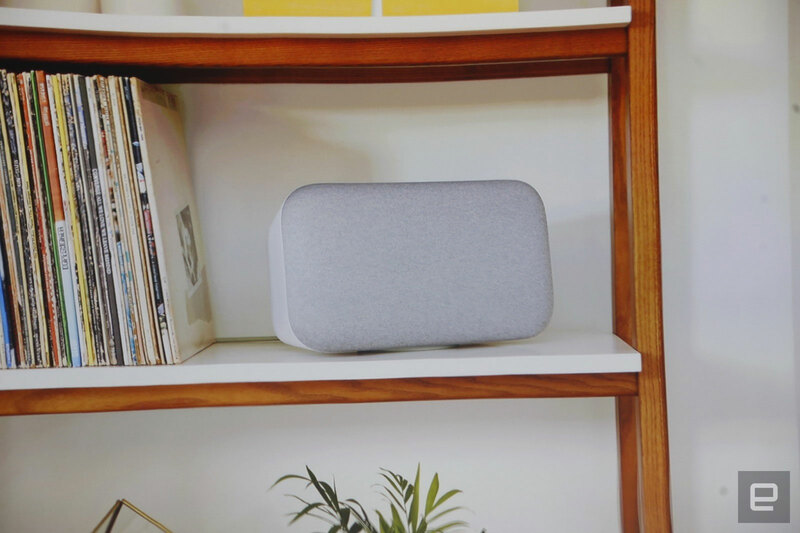 Then there's Google, which added to its initial $129 Home smart speaker with the $50 Home Mini and $400 Home Max. The latter is designed as a smart, wireless multi-room speaker that will connect to Google Assistant and control your home. In addition to dual 4.5-inch woofers and custom tweeters, Google claims to have custom-designed even the fabric for better sound on both of its new products. The Home Max will even tune itself, optimizing its own sound settings for the local environment. It will also learn your music tastes and fine-tune the balance of its sound for optimal listening across your living room. Home Max does have one drawback, which is that it's going to retail for $50 more than even Apple's smart speaker. Since it ships with a 3.5mm audio-in jack, however, the device can pull double duty as the primary speaker for plenty of other hi-fi gear. It may not be able to replace your TV's sound bar, unless you can connect to your set-top box wirelessly. But it's plausible that, with Chromecast integration, it could become a one-stop shop for your home entertainment needs. 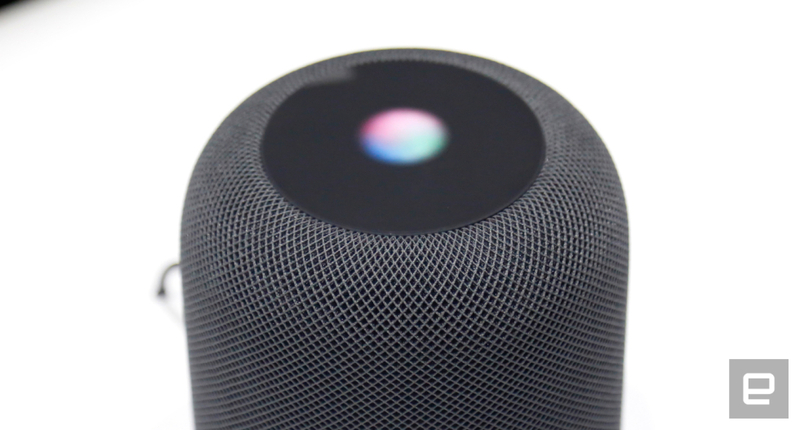 Homepod, meanwhile, is Apple's own entry into the smart speaker market. It similarly offers positional awareness, high-quality sound and voice control. It's Siri, rather than Assistant or Alexa, that you'll use with a variety of Homekit-enabled accessories, with all of the attendant benefits and burdens that entails. Apple has promised that its platform has improved, although time will tell whether that will actually be the case. In addition to voice control and smart tuning, you also get the benefit of Apple's broad and deep ecosystem, including its music offerings and integration with AppleTV (via AirPlay 2) and your iOS devices. Having a device that'll play nice with two of the three major voice platforms (sorry, Cortana) may prove to be an inspired business decision. Users can pick and choose which option they'd prefer, or use both, depending on the circumstances. The One will also have AirPlay 2 integration, giving them adjacent access to iOS. The move will also reduce the worries of buyers, who may stay away for fear of committing to a platform that they may not like. Plus, for $199, it may strike the right balance between quality and affordability for those folks for whom $400 for a speaker borders on the extravagant. I don't think that, whatever happens, this is going to be a rerun of the iPod HiFi debacle, and that many companies in the audio space should be nervous. Amazon, Apple and Google have already sucked most of the air out of so many industries that it's hard not to expect them to have an impact. Look at how many retailers have been crowded out by Jeff Bezos, how many watchmakers have seen profits fall now that the Apple Watch exists. The set-top box market may have ambitions toward diversity, but the only names worth paying attention to are Amazon, Apple, Google and Roku. Fundamentally, if you're a company producing speakers around the $300 mark, then you have a problem. Because smart speakers, produced and backed by billion-dollar tech companies, are looking to eat your lunch. These devices have a ready-made position at the heart of the smart home revolution. This is a time to either pounce on a radical new idea, join up with Google or Amazon and hope they leave enough crumbs for you to survive, or face hard times ahead.